Conveniently located in the heart of Québec City, The Centre is the perfect place for conventions, trade shows and meetings. 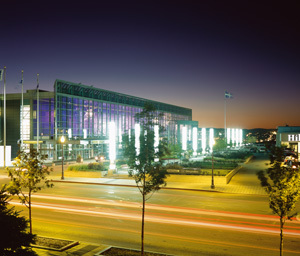 The Convention Centre is just 15 minutes from the international airport in the heart of downtown and just steps away from accommodation, dining, and sightseeing. It’s no wonder Québec City is one of Canada’s top convention destinations. Get ready for the legendary warmth of Québec City residents who are proud of its 400 years of history and their dynamic, creative hometown where festivals and events never stop.